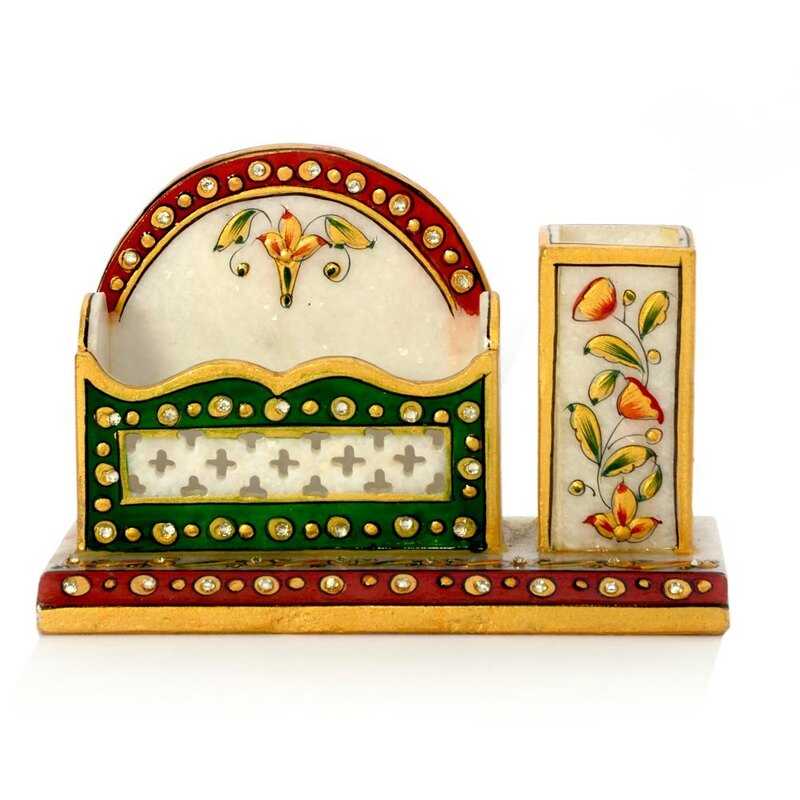 This marble pen stand set is a must have for decorating the study area or an office table. The snow white marble is washed with Read More..fine borders of red, green and yellow color. These borders are further decorated with kundan work. Both the card holder and the pen stand are attached to a thin marble platform. the card holder is dome shaped, beside which a rectangular pen stand is seated. Show Less..